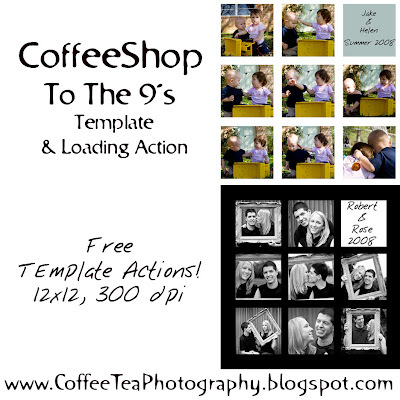 These free actions build and load storyboard (templates). 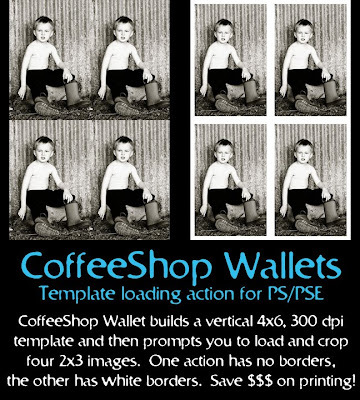 Just load the actions into Photoshop or Photoshop Elements. 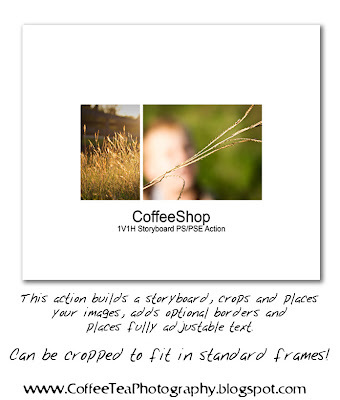 More directions can be found by clicking on the images below. 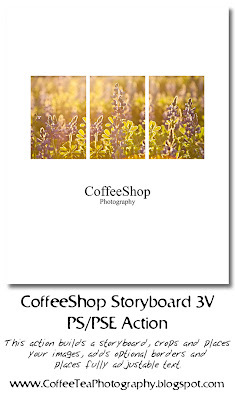 If you want to have some premade templates/storyboards or even photo frames that are not actions and you can use in any editing program like any other image, please click HERE! 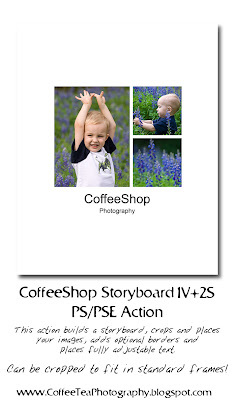 Unless specified, all actions will run in Photoshop 7 up to CS4 and Photoshop Elements 5, 6, and 7. 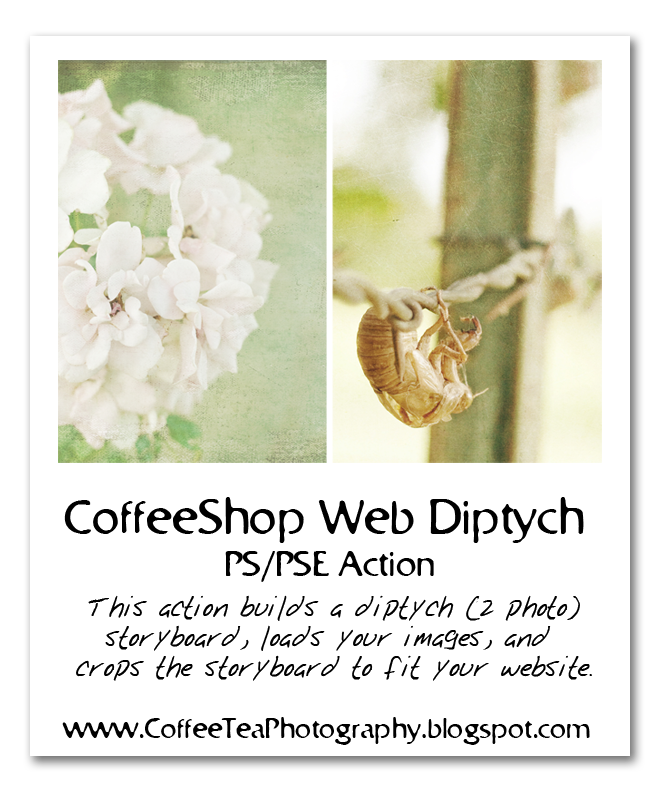 If you want help installing actions, please click HERE and if you have any questions, please post over at the CoffeeShop Flickr Group. 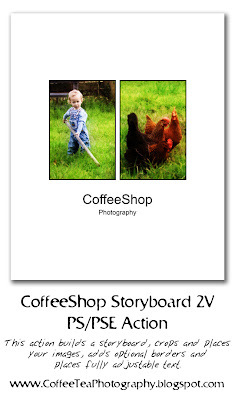 I use your "To the 9's" storyboard quite frequently. It is so easy to use. I haven't tried out the others but will soon. Thank you for offering all these wonderful goodies!